Xia is described as a Sandbox Style Game where the game develops the way the player wants it to play out. Many options are available during the game and players are free to choose the actions and the order in which they are carried out. Players also choose the path to victory they would like to take and how well the game plays is dependent on the overall choices each player makes. I can’t ( and won’t ) go through all the available options that a player may make as the list is really very long and can be overwhelming. But I will try my best to hopefully give you an idea how a player’s turn may flow and thus how the overall gameplay is like. 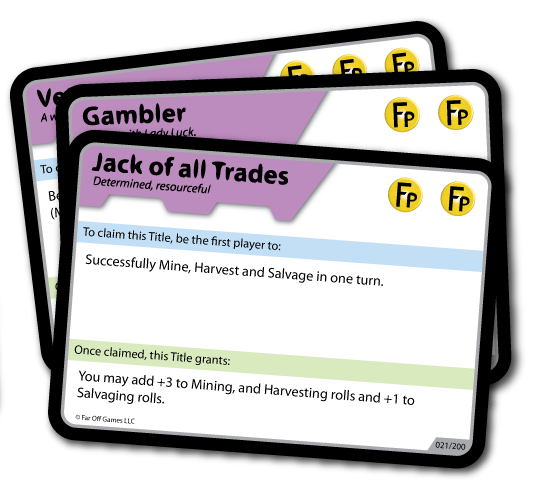 A player’s turn consists of 3 phases. Most of the decisions in the game comes in the Take Actions phase. In this phase, each player may perform as many actions as they like as long as they are able to do so. 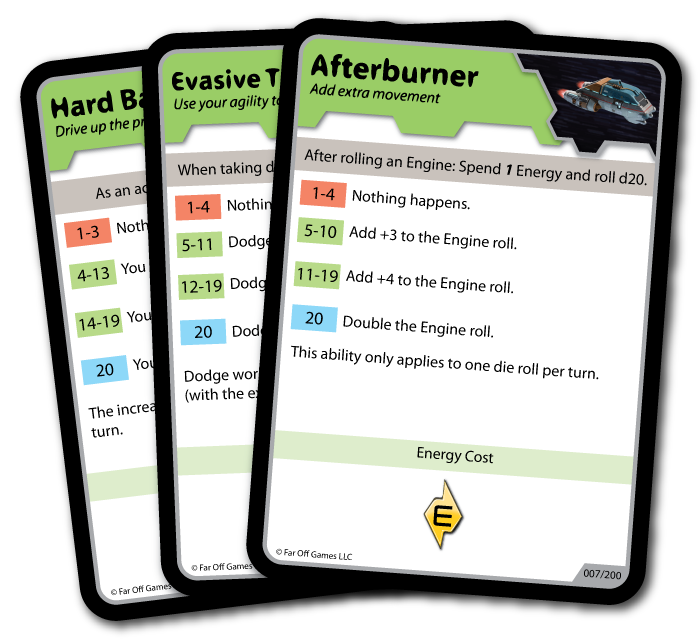 During the take action phase, a player may have from 1-4 actions depending on how they have prepared their ship in the turn prior. Some actions are also free to perform and thus enable a player to do more than the 1-4 actions that they may have. 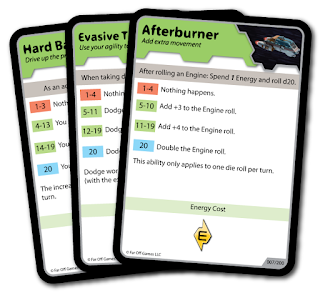 After the player is done with their Take Action phase, they may execute the Business Phase provided they ended their turn on a planet. The last phase on a player’s turn is the Status Phase. So each player will execute the above 3 phases in turn order until the game is over. The game ends when a certain number of Fame points is reached by a single player. That player is the winner of the game. There’s really a whole lot more in a game of Xia. There are NPC ships flying around the map performing different actions ( one NPC is scouting for ships with Bounties, another is a wealthy merchant, and another is out to hunt down innocent ships ), there are titles that each player may want to aim for ( think of them as in game goals that give you more Fame Points ), and there’s the interaction with the different areas of the board ( Asteroid Fields, Warp Gates, Stars, Planets ). Basically nearly everything you have wanted to see in a space themed game is present in a game of Xia. And just a side note, although there is combat in the game, there is no player elimination. Destroyed ships get to respawn at another location but will lose a turn, lose their ongoing mission, and lose all cargo that they have. I like the sandbox style gameplay in Xia. The only other sandbox style game I can remember playing is Mage Knight, and I too had quite a lot of fun with that game. I like being able to be flexible with what I want to do and to be given many options each game so that each play can be different. 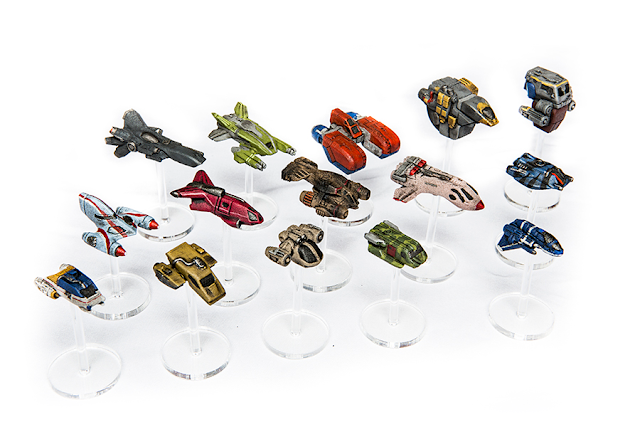 The wealth of options in the number of ships and their accompanying abilities is something that I always want in games. Starting out with a unique ability and being able to gain more is a big thumbs up for me. The in-game title cards is a genius decision in my opinion. It gives a mini mission that each player will be able to achieve and so it brings with it some short term competition for its rewards. And not only does completing it give fame points, it also may give you another added bonus ability. Sweet. I like games that provide you with a modular board for set up and also for in-game exploring. It provides the push your luck element that I really enjoy and it makes the game feel different and fresh even after multiple plays. The modular layout of the ships also strike a chord with my puzzle loving self. It may not be the most complicated puzzle to figure out how to maximize your ship layout, but it still looks fun nonetheless. I like that we may decide how long we would like the game to last. If I want something short and fast I could play to 5 or so points. If I had the time for something Epic, I could decide to go for 15 points. Not a big deal but still, very nice to have in a game. There isn’t really a lot of different types of Outfits in the game. I feel that more could have been done to increase the variety and thus increase the different ways a player may configure their ship. It seems unlikely that more outfits may be created, but if they do, that would be something I would fully support. Well, I never really liked space themed games. I don’t own any games with a space theme ( unless you count Mission Red Planet ). I guess it’s the one theme that never was able to draw my attention as well as other themes out there. So it’s quite a big bummer for me. I do have friends that love space and I guess that’s who I will be playing the game with. If the theme was changed to something like Pirates ( yes too many I know ) or Dragon Riders ( don’t even know why I thought of that ) I would be more sold on the game. The game comes with a lot of moving pieces that makes the game fiddly which I am mostly against. Also, as with Sandbox Style Games, there are many special rules for certain scenarios or board areas. 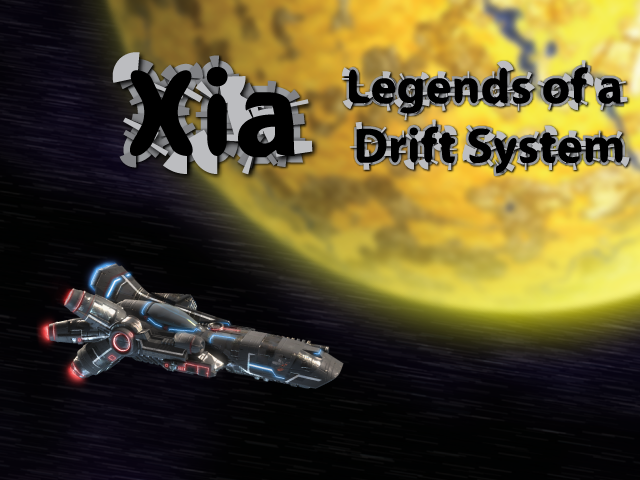 In Xia its no different, you have to pay attention to where your ship may fly ( with or without penalty ), and also what each area on the board may allow you to do or will do to you. It might take awhile to explain everything, and if any player is unclear of how to play a certain part, it may diminish the playing experience. This is possibly my biggest gripe with the game. EVERYTHING is settled via dice. Engine Movement, Blaster/Missile Attack, Mission Success, Planetary Conditions. Everything ! Why ! Now, increasing your attack options is possible as it increase the value of your dice ( from d6 to d8 to d20 etc ). But even then, you may still roll a horrible 1 or 2 with a d20. As for mission success or failure, you are unable to increase your chances of success at all. It is purely down to luck. Which is very upsetting. VERY. I feel that with an upgraded ship and outfits, should come upgraded chances for success in certain areas of the game. If not, what is the point ! I would have preferred upgraded parts of the ship to come with some base attack/defense values. So at least you know that you have UPgraded and not “upgraded” your ship. Very meh. But for some strange reason, I feel so compelled to back the game for better or for worse. And its not because of the great looking miniatures or the components itself ( as you can see I usually dissect everything in a game before I make my purchases ). I think it’s the potential that I see in the game and I think that that might have been the tipping point for me. Also, if Kickstarter was started for any reason, its to help people like Cody who actually needs a whole bunch of help ( or money ) to get this game to the market. Failing which, it is unlikely to ever see the light of day ( or the stars of night ).